The Atkins Diet - Panacea or Poppycock? 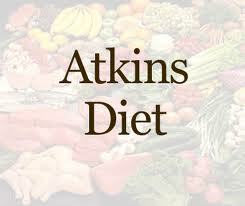 The Atkins Diet may be the most famous diet on Earth. It has often been criticized by medical professionals when used over long periods of time. Medical and health care agencies point to its inherently extreme nature as reason for caution. Both the AMA (American Medical Association) and the AHA (American Heart Association) have issued warnings against high-protein, high-fat diets such as Atkins. Their concern is that this combination may harm the cardiovascular system and increase the risk of diabetes or kidney disease. To date there is insufficient evidence to prove these assertions. Hundreds of thousands of Atkins diet advocates have lost a significant amount of weight on the diet. Many of them have been able to throw away prescription drugs they were taking for years, such as blood pressure medication. Linda started with the Atkins Diet at 250 pounds. Being only 5’1” tall, she was almost as wide as she was tall. She lost fifty pounds after one year on the Atkins Diet. Even more important is her cholesterol report. Her cholesterol count, which was off the charts, normalized over that during that period of time her cholesterol, which as off the charts, came into normal readings. Linda now weighs 170 pound and has been on the Atkins Diet now for five years. She is happy, and plans to continue with the Atkins program. Linda's husband Mike is also happy. He lost almost twice as much as she did during his first year on Atkins. With his doctor’s blessing, he was able to completely stop taking his heart medicine. Larry had a more dramatic experience. Yes, He lost 30 pounds in five months. In addition, after one month into the Atkins program he was able to stop using insomnia medication. His insomnia (for about 40 years) was caused by hyperlipidemia. Once the cause was identified, his physician prescribed medicine that was not only expensive, but had undesirable side effects. Larry is 60 years old and sleeps like a baby now with no pills and continues with Atkins. Caroline tried to use the Atkins Diet to lose weight but it did not work for her. However, when she stopped eating so many grains, especially wheat, she had remarkable changes in her physiology. For years, Caroline had suffered with deep, painful cough and persistent strep infections that only responded to antibiotics. After a few weeks on Atkins, the cough and strep infections stopped. She now eats a balanced diet and avoids wheat gluten. This change was not anticipated by her physicians. The Atkins Diet has been in use since the 1970’s. There are new weight loss management plans available now that try to improve on it. Perhaps someday a universal diet that works for everyone and every physical problem will come to light. Until then we each need to find what works for us as individuals. Be persistent and totally honest with yourself. Keep an open mind as you pursue health improvements. Remember, your short term goal of losing weight may have repercussions if it is not carefully implemented. Even with the Atkins Diet there are some long-term risks to consider. When you read and gather information on the China Diet you may learn about other possible long term risks. Your quest for health and happiness is disrupted by complications such as these. It may be wise for you to reconsider. Perhaps after your weight loss goal has been reached you may change your approach to one with fewer risks. It is your choice. Your life. Your body. You owe it to yourself and to the people you love (and who love you) to wade through the maze of weight loss and health management options to find what will work for you.